Medicine Plants of the Desert Workshop - April 8th! 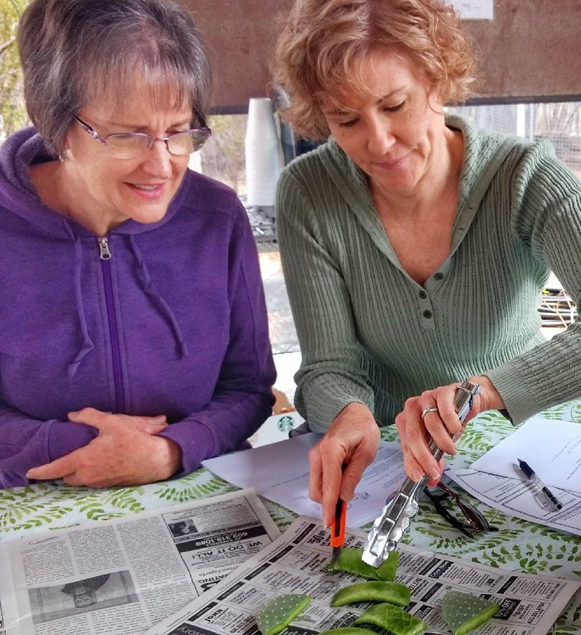 Explore various uses for prickly pear and other Sonoran Desert plants at Southwest Wildlife Conservation Center’s Medicine Plants of the Desert Workshop.Your instructor Diane Vaszily has been in Environmental Education for many years and one of the founding members of the Desert Awareness Committee. During the workshop you will investigate medicinal and edible plants that grow locally. Topics include using plants for healing, wellness and food. As part of the experience you will harvest several plants, prepare edibles, a poultice, a tincture, and two ointments to take home. Lunch includes desert delicacies such as mesquite flour muffins, prickly pear lemonade, chia granola and nopales salsa! All of which are handmade by your instructor. Due to the popularity of the first workshop, we added an additional date on Sunday, April 8th, 11am-3pm. Space is limited, and many of the tickets have already been sold.